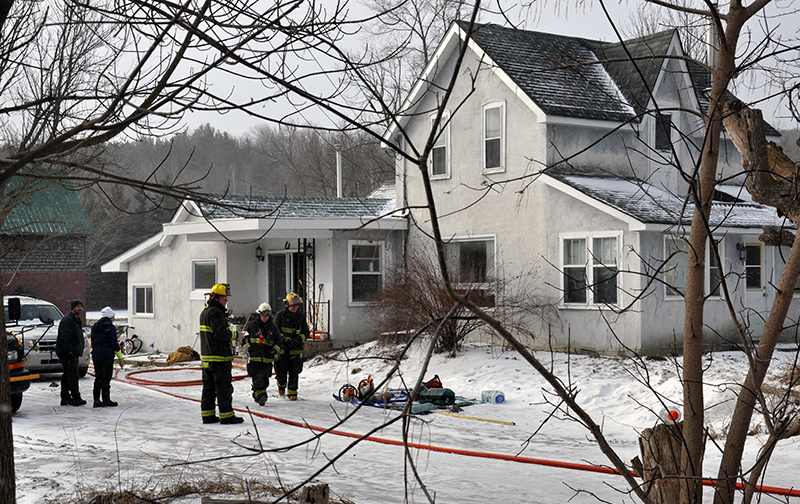 A house fire in Creemore Friday morning originated in the bathroom ceiling fan. Ashley Skelton said her 11-year-old daughter was in the bath at the time, and two other children were home but all three of her children were able to escape safely. She was out getting coffee at the time and her husband was home with the children. Jeremy Skelton is a firefighter stationed in Creemore. When crews arrived on scene, they brought his gear so he could help fight the fire. Although he’s been with the fire department for a while now, this was his first fire, said Ashley. Clearview’s Acting Fire Chief Roree Payment said the fire started in the ceiling fan in the main floor bathroom, igniting the ceiling structure. 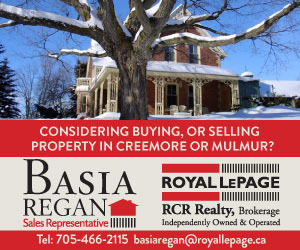 Payment said 12 firefighters from stations in Creemore, Stayner and New Lowell responded at about 8 a.m. with four apparatus and worked quickly to contain the fire to the bathroom, minimizing damage to the rest of the house. The fire was at a house on the Caroline Street West extension, just past the bridge on Concession 5.